The Holy Cross Sermons: Hail Mary, Full of Grace. I found a little quote of words by Mother Teresa of Calcutta which I thought would set the scene well for today’s thoughts. There is a light in this world, a healing spirit more powerful than any darkness we may encounter. We sometimes lose sight of this force when there is suffering, too much pain. Then suddenly the spirit will emerge through the lives of ordinary people who hear a call and answer in extraordinary ways. Every year, one of the Sundays in Advent focuses on Mary. And obviously Mary is pretty important in the Christmas story. But it seems to me a funny thing that we rarely mention her in sermons. Other women in the Bible get more sermons about them than Mary does. And this is rather amazing given that she is the one who bore our Lord Jesus. She is the one who suckled him, and taught him and shaped his character to give and receive much love. She was the one who at the end stood by him when he was raised on the cross. I suppose our little blind-spot here is understandable. In the Protestant reaction to Roman Catholicism we ditched most forms of piety involving Mary. It seemed to us that Mary was not merely venerated by Roman Catholics. It seemed as if she had been elevated almost ahead of God – via the language they use of Mary as the Mother of God. This to us seemed like blasphemy and we have backed away from it and now seem almost to ignore her, except at Christmas. But surely we can do better than that? Now I am not advocating that we all learn the prayer of the Rosary. I’m just trying to make the point that Mary is a person who is worthy of our close consideration. So the question arises for us: Who was she? If I was to just rely on Luke’s stories I would come up with four facets of her life that can be inspirational for us as we try to follow in the way Jesus showed us. The way Luke tells the story we find Mary doing a most unlikely thing. She is told she is going to be the mother of God’s Messiah, and she says “Okay! Whatever!” She seems to have been the kind of person who readily put aside her own hopes and plans when God placed a much harder plan in front of her. In a way this is showing how much she was able to be God-centred rather than self-centred. Her ability to put her own fears aside and say to the angel “Let it be according to your word” is what should inspire us. She had a tough and profound faith in God – an absolute assurance that God would not let her down. Communities can be really hard on people who step outside the cultural norms for that community. Surely Mary understood that what the angel was telling her would happen would cause her a lot of trouble. But that did not stop her from saying yes. It must have helped her that Joseph chose to stand by her despite the gossip of others. She did not let these difficulties stop her. She was willing to suffer for God’s sake. When you unpack the words of what we call the Magnificat or the Song of Mary, they are full of prophetic language. In these words she is a visionary; a seer who looked towards a future day when God would do away with all forms of injustice. Mary has a right to stand among the great prophets. This idea flows from the sense of her prophetic voice. Too often we have thought of Mary as a meek, demure, self-effacing and compliant wife. The kind of woman some men think might be good to have around, who say “Yes sir! No Sir! I beg your pardon, Sir! Whatever you say, Sir!” And so she is presented as this kind of door-mat wife. 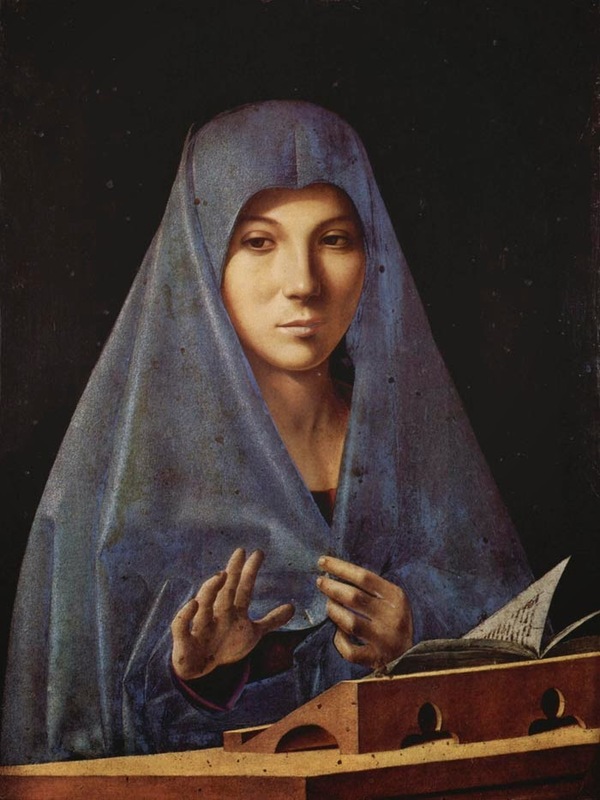 But when you read that song – the Magnificat – it is like a revolutionary manifesto. while the rich will be send packing, and empty! as directly involved in God’s revolution. A person of profound, tough faith. A mother who is willing to suffer for God. A visionary who stands with the prophets. A woman who takes part in a revolution. Mary, then, is a prototype for all people of faith, young or old, male or female, but I have to say especially for women, who are so often sidelined. In her we see a believer who, in spite of the greed, apathy and despair in the world around her, embraces the awkward, revolutionary Word of God. Who seek first the kingdom of God. Who are willing to suffer for their faith. Who are prepared to be the unpopular prophetic voices. Who are the loving revolutionaries of God. Mary, the Holy Mother, was open to God, open to God’s future, even though it can often be a frustrating, painful and frightening way to go. She was open to God and joyful about it. The Magnificat is a song of sheer joy!